In the 1980s, The Nature Conservancy began work on the fast-growing Outer Banks by protecting Nags Head Woods. One of the last intact maritime forests on the East Coast, the Woods was in danger of becoming a housing development. 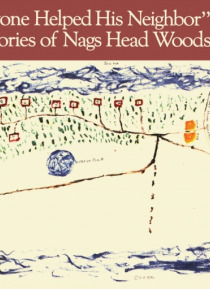 In the late nineteenth century Nags Head Woods was home to about forty families and to this day remnants of their time there can be seen during a walk in the preserve. Bas… ed on oral histories, "e;Everyone Helped His Neighbor"e; documents the social and cultural history of a community that worked the land and waters of this unique place. Originally published in 1987, this reissue edition contains a foreword by David S. Cecelski and an afterword by the authors.